He represents the aspect of God that continuously dissolves and recreates the universe. Lord Shiva is often misconstrued as being the destroyer this is misleading as what he is doing is fixing a broken universe in preparation for its renewal. Goddess Parvathi is the wife/consort of Lord Shiva. They have two sons Ganesha and Kartikeya. Shiva Lingam which is a symbol of Lord Shiva is often worshipped instead of the human form of the Lord. Many Shiva Temples have the Shiva Linga as the main deity. Shiva Lingams in temples are mostly made of stone and consists of three parts. The interpretation of these parts is varied and controversial. Hopefully the main concept to be taken from the Shiva Lingam is that God is essentially formless. The typical western sexual interpretation of the Lingam is offensive to Hindus and debases the Lingam. Even if, as many suggest, that it represents the male and female aspects of the lord that should be enough without taking it to the lowest level. Maha Shivaratri is the most important day for the devotees of Lord Shiva. During that day, the devotees stay awake through out the night praying to the Lord. All through the day the the most devout devotees abstain from having any food and worship the Lord. After performing the traditional poojas in the morning they break their fast. This day is considered especially auspicious for women. 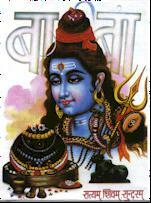 Lord Shiva in his human form is worshipped as the Utsava Murthi. Lord Shiva is compassionate. He protects devotees from evil forces such as lust, greed, and anger. He grants boons, bestows grace and awakens wisdom in His devotees. The symbolism discussed below includes major symbols that are common to all pictures and images of Shiva venerated by Hindus. Since the tasks of Lord Shiva are numerous, He cannot be symbolized in one form. For this reason the images of Shiva vary significantly in their symbolism. These opinions represent those of many sources but interpretations are varied. The unclad body covered with ashes: the unclad body symbolizes the transcendental aspect of the Lord. Since most things reduce to ashes when burned, ashes symbolize the physical universe. The ashes on the unclad body of the Lord signify that Shiva is the source of the entire universe which emanates from Him, but He transcends the physical phenomena and is not affected by it. Matted locks: Lord Shiva is the Master of yoga. The three matted locks on the head of the Lord convey the idea that integration of the physical, mental and spiritual energies is the ideal of yoga. Ganga: Ganga (river Ganges) is associated with Hindu mythology and is the most sacred river of Hindus. According to tradition, one who bathes in Ganga (revered as Mother Ganga) in accordance with traditional rites and ceremonies on religious occasions in combination with certain astrological events, is freed from sin and attains knowledge, purity and peace. Ganga, symbolically represented on the head of the Lord by a female (Mother Ganga) with a jet of water emanating from her mouth and falling on the ground, signifies that the Lord destroys sin, removes ignorance, and bestows knowledge, purity and peace on the devotees. The crescent moon: is shown on the side of the Lord’s head as an ornament, and not as an integral part of His countenance. The waxing and waning phenomenon of the moon symbolizes the time cycle through which creation evolves from the beginning to the end. Since the Lord is the Eternal Reality, He is beyond time. Thus, the crescent moon is only one of His ornaments, and not an integral part of Him. Three eyes: Lord Shiva, also called Tryambaka Deva (literally, “three-eyed Lord”), is depicted as having three eyes: the sun is His right eye, the moon the left eye and fire the third eye. The two eyes on the right and left indicate His activity in the physical world. The third eye in the center of the forehead symbolizes spiritual knowledge and power, and is thus called the eye of wisdom or knowledge. Like fire, the powerful gaze of Shiva’s third eye annihilates evil, and thus the evil-doers fear His third eye. Half-open eyes: when the Lord opens His eyes, a new cycle of creation emerges and when He closes them, the universe dissolves for creation of the next cycle. The half-open eyes convey the idea that creation is going through cyclic process, with no beginning and no end. Lord Shiva is the Master of Yoga, as He uses His yogic power to project the universe from Himself. The half-open eyes also symbolize His yogic posture. Kundalas (two ear rings): two Kundalas, Alakshya (meaning “which cannot be shown by any sign”) and Niranjan (meaning “which cannot be seen by mortal eyes”) in the ears of the Lord signify that He is beyond ordinary perception. Since the kundala in the left ear of the Lord is of the type used by women and the one in His right ear is of the type used by men, these Kundalas also symbolize the Shiva and Shakti (male and female) principle of creation. Snake around the neck: sages have used snakes to symbolize the yogic power of Lord Shiva with which He dissolves and recreates the universe. Like a yogi, a snake hoards nothing, carries nothing, builds nothing, lives on air alone for a long time, and lives in mountains and forests. The venom of a snake, therefore, symbolizes the yogic power. A snake (Vasuki Naga): is shown curled three times around the neck of the Lord and is looking towards His right side. The three coils of the snake symbolize the past, present and future – time in cycles. The Lord wearing the curled snake like an ornament signifies that creation proceeds in cycles and is time dependent, but the Lord Himself transcends time. The right side of the body symbolizes the human activities based upon knowledge, reason and logic. The snake looking towards the right side of the Lord signifies that the Lord’s eternal laws of reason and justice preserve natural order in the universe. Rudraksha necklace: Rudra is another name of Shiva. Rudra also means “strict or uncompromising” and aksha means “eye.” Rudraksha necklace worn by the Lord illustrates that He uses His cosmic laws firmly – without compromise – to maintain law and order in the universe. The necklace has 108 beads which symbolize the elements used in the creation of the world. Varda Mudra: the Lord’s right hand is shown in a boon- bestowing and blessing pose. As stated earlier, Lord Shiva annihilates evil, grants boons, bestows grace, destroys ignorance, and awakens wisdom in His devotees. Trident (Trisula): a three-pronged trident shown adjacent to the Lord symbolizes His three fundamental powers (shakti) of will (iccha), action (kriya) and knowledge (jnana). The trident also symbolizes the Lord’s power to destroy evil and ignorance. Damaru (drum): a small drum with two sides separated from each other by a thin neck-like structure symbolizes the two utterly dissimilar states of existence, unmanifest and manifest. When a damaru is vibrated, it produces dissimilar sounds which are fused together by resonance to create one sound. The sound thus produced symbolizes Nada, the cosmic sound of AUM, which can be heard during deep meditation. According to Hindu scriptures, Nada is the source of creation. Kamandalu: a water pot (Kamandalu) made from a dry pumpkin contains nectar and is shown on the ground next to Shiva. The process of making Kamandalu has deep spiritual significance. A ripe pumpkin is plucked from a plant, its fruit is removed and the shell is cleaned for containing the nectar. In the same way, an individual must break away from attachment to the physical world and clean his inner self of egoistic desires in order to experience the bliss of the Self, symbolized by the nectar in the Kamandalu. 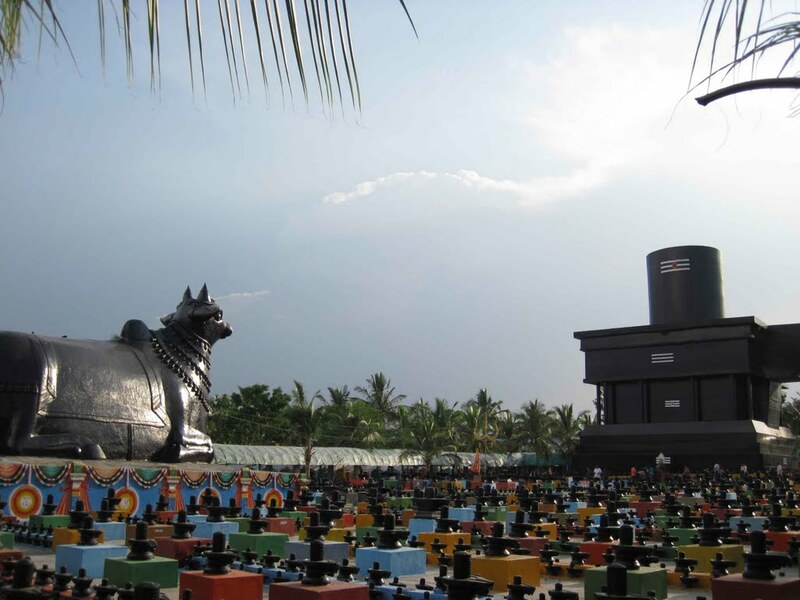 Nandi: the bull is associated with Shiva and is said to be His vehicle. The bull symbolizes both power and ignorance. Lord Shiva’s use of the bull as a vehicle conveys the idea that He removes ignorance and bestows power of wisdom on His devotees. The bull is called Vrisha in Sanskrit. Vrisha also means dharma (righteousness). Thus a bull shown next to Shiva also indicates that He is the etemal companion of righteousness. Tiger skin: a tiger skin symbolizes potential energy. Lord Shiva, sitting on or wearing a tiger skin, illustrates the idea that He is the source of the creative energy that remains in potential form during the dissolution state of the universe. Of His own Divine Will, the Lord activates the potential form of the creative energy to project the universe in endless cycles. I always heard that Rudraksha means “tears of Shiva” rather than “eye of Shiva”; the Wikipedia article article says this too. Also, the “Hindu Trinity” is a Smarta concept. Saivas are more likely to see God as a five-fold manifestation: Brahma, the creator; Vishnu, the preserver; Rudra, the destroyer; Maheshvara, the veiling Lord, and Sadashiva, the revealer. I don’t believe the “trinity” is important to Vishnavas either. Thanks for the comment. The concept of Trimurti first appears in the puranas. I pulled a lot of my info from ‘ Hinduweb.net’ years ago and haven’t really run it by anyone til now. Yes Vaisnavas don’t generally hold with the concept. At the Shiva temple I attend our Swami mentioned Trimurti last week, though not by name, only in relation to the various roles of the three deities. It appears after a little research, that the Smartas follow a five deity concept(from Ankar Acarya). 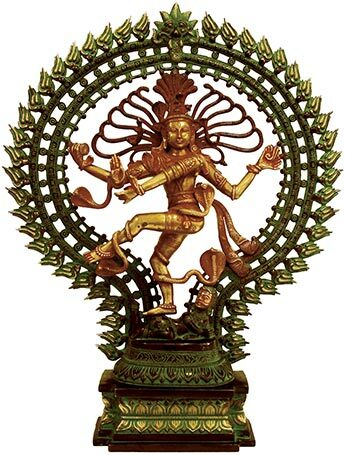 Mm, I’ll try and get some others views on parts of the Shiva Lingham and revise once I get enough of a consensus.